The following are the results of the 2011, 2014 and 2017 Workplace Experiences Surveys (WES) based on the responses of all faculty in the Barber School – that is, all regular, permanent faculty members as well as sessional faculty, deans, associate deans, heads, post-docs, and research associates. The 2011 and 2014 results are presented in absolute terms and the 2017 results are presented both in absolute terms and relative to the responses of all faculty at UBC (UBCO plus UBCV). The company that completed the 2017 survey, TalentMap, states: “Generally, a % Favourable of 70 or above is considered good, a % Favourable in the 60s is considered acceptable, and a % Favourable of lower than 60 would indicate the need to investigate further.” Or, to put in the parlance of what faculty members might better relate to, an overall grade of above 70 is good (B- and above), a grade in the 60s in acceptable (C), and a grade lower than 60 is generally unacceptable. An overall grade n the 50s is a marginal pass (D), but generally seen as still not good enough, and a grade lower than 50 is a fail (F) and entirely unacceptable. 54 faculty in the School completed the 2011 survey, a reported response rate of 32%, implying that there were approximately 165 such faculty in the School when the survey was completed in November 2011. The vast majority of the faculty respondents were permanent faculty members (47) and the others respondents were 3 sessional faculty and 4 deans, associate deans, heads etc. The survey misclassified heads as non-bargaining unit faculty. The 2011 WES results for all faculty in the Barber School were generally negative, reflecting an overall disengaged faculty. The average percent of all faculty giving favourable responses (“very satisfied/satisfied” or “agree/strongly agree” etc.) across all 79 questions in the survey was 47%, which in most faculty members’ estimation is an F, fail. The results were known as of February 2012 but no action was undertaken by the Barber School Dean’s Office to discuss them with faculty until, on the initiative of faculty members themselves, an ad-hoc committee of the Barber School Faculty Council was established in February 2013. This was the first such committee ever established by Faculty Council, and it was to study the poor results in detail and to make recommendations that would help make the Barber School a better, or at least a less bad, place for faculty to work. No interest was shown by the Dean’s Office in the work of this committee over its approximately one full year of deliberations, and both the Barber School acting dean at the time and the Barber School dean at the time the survey was completed (the then acting provost) refused to meet with the committee. The 2014 results were brought to the attention of faculty in the School by the Dean’s Office only in November 2017, and, it appears, were not analyzed nor acted upon by the School before then. The 2014 survey reported a response rate of 33%, the same as in 2011, but did not report the actual number of responses. If there were approximately 180 faculty in the School in November 2014 inclusive of all permanent faculty members as well as sessional faculty, deans, associate deans, heads, etc., then a response rate of 33% implies that approximately 60 faculty or so in the School completed the survey in November 2014. The survey in 2014 again misclassified heads as non-bargaining unit faculty. The 2014 WES results for all faculty in the Barber School were again generally negative, reflecting an overall disengaged faculty. The average percent of all faculty giving favourable responses (“very satisfied/satisfied” or “agree/strongly agree” etc.) across all 69 questions in the survey was 57%, which in most faculty members’ estimation is a D grade, a marginal pass, but generally unacceptable. The 2017 results were brought to the attention of faculty in the School by the Dean’s Office in February 2018. 82 faculty in the School completed the 2017 survey, a reported response rate of 44% and implying that there were approximately 185 or so such faculty in the School when the survey was completed in November 2017. The 2017 WES results for all faculty in the Barber School remain generally negative, reflecting an overall disengaged faculty. The average percent of all faculty giving Favourable responses (“very satisfied/satisfied” or “agree/strongly agree” etc.) across all 91 questions in the survey was 49%, which in most faculty members’ estimation is an F, fail. For UBC overall, the average percent of all faculty at UBC giving Favourable responses (“very satisfied/satisfied” or “agree/strongly agree” etc.) across all 91 questions in the 2017 survey was 61%, so just marginally acceptable. Results for the Barber School are hence an average of 12% lower, pushing the Barber School into the fail, unacceptable range. So there has been little improvement overall in the Barber School in the results 2011 to 2014 to 2017, and the average grade is an F across the period. So I think we have to ponder why, in our School with its $15m endowment and commitment to “an environment of academic excellence” and “a liberal arts and sciences school in the finest tradition” workplace experiences of faculty are apparently so poor, both in absolute terms and relative to faculty elsewhere at UBC. Of course an overall grade across all categories and across three different surveys where the questions differ to different degrees, and the respondents differ to different degrees, is only a fairly crude comparison, but still valid to a large extent (we do the same comparisons in the student grade averages in our courses across sections and years). However, if some of the questions remained largely the same across the three surveys it is also instructive to look at the results of specific questions. Unfortunately, the questions change quite a bit across the surveys, especially for the 2017 survey relative to those of 2011 and 2014. School. The acting dean and provost at the time showed no interest in the final report of the committee, and made no official response to it, and when its report was brought to the attention of the new(and current) dean in 2016, he said he had never heard of it and hence had never read it. We will however use these categories found to be the major areas of concern in the final report of the ad-hoc committee to discuss below the differences and similarities between the 2011, 2014 and 2017 results, because these areas still show up in 2017, not unexpectedly given the lack of attention to the results of the 2011 and 2014 surveys by Barber School or University management to date, as the major areas or concern. The total results for faculty of the 2017 WES for UBCO overall have not been released to the UBCO academic community yet. What has been released is a PowerPoint presentation put together by the survey company for the UBCO Department of Human Resources (HR). In this presentation, only results of 35 of the 91 questions are revealed for faculty only. Avoided entirely in the presentation are the results for the most negative areas for the Barber School and presumably UBCO overall for faculty; work environment, work/life integration, communications, collaboration, immediate unit head/manager, UBCO’s senior leadership, and health and wellbeing. It is perhaps to be expected that HR might wish to dwell on the positive rather than the negative. More worrying is the fact that on the PowerPoint, all of these areas where the % responding favorably at UBCO are the lowest are assigned a “medium to low priority” by HR! Maybe these areas are seen as lost causes? So the focus of the PowerPoint is only on the “key strengths” to “leverage and expand” that is, the most positive results. It states “focusing on the low…scores…may not fully address what is needed…” Is this not perhaps contradictory to the survey company’s argument that low scores “would indicate the need to investigate further”? The PowerPoint then states that the focus should be on the areas where the performance is low but that are somehow designated as “key drivers of engagement” – faculty support, senior leadership and collaboration. But then presented are only the detailed results for faculty for only the three most positive scoring areas – professional growth, student focus, and inclusion and respect. Very odd indeed. The faculty response rate for UBCO overall was 173 out of 459 faculty; or 38%. Since the response rate in the Barber School was 82 out of 185 (44%), that implies that the response rate outside of the Barber School was 91 out of 274, that is a response rate of 33%, for an overall UBCO response rate of 38%. So there was a better response from faculty in the Barber School than from faculty in the rest of UBCO. Of the results of the 35 questions revealed, for 22 of these questions the results were more-or-less identical for the Barber School and for UBCO overall. For 13 of the questions, the results are much worse in the Barber School than outside of the Barber School. For no question or statement of these 35 were the results for the Barber School more favourable than for UBCO overall. The results of the 13 questions are below where the results for the Barber School faculty (UBCO-BS) are much worse than for faculty outside of the Barber School (UBCO-O). This can be inferred from decomposing the UBCO overall results into UBCO-BS (which is known) and UBCO-O (which is inferred from the overall UBCO results, which are also known). How are we to interpret these results? Is it just that the Barber School has a higher proportion of grumpy old members (e.g. “heritage faculty”?) than elsewhere at UBCO, or is it that there are there serious problems in the Barber School that don’t exist elsewhere at UBCO? Probably not the first hypothesis (FCCS, Nursing etc. also perhaps have a high proportion of “heritage faculty”) so perhaps the second hypothesis should be taken seriously by the UBCO senior administration and HR? Times have changed, business as usual has been called into question, the Board of Governors is still operating under the pall of a No Confidence vote cast by faculty members last year, and this year on 24 April an Open Letter signed by 110 faculty members was submitted to the UBC Chancellor Reappointment Committee. Last year was an emotional year for UBC. As we launched the celebration of our Centennial at UBC 100, our President resigned under a cloak of secrecy. As we began to party, we launched an investigation to discover the lengths to which a Chair of the Board of Governors and administrators might go to suppress academic freedom. As no accountability was forthcoming, a No Confidence vote was cast. As the BoG continued with business as usual, staff and students expressed serious concerns to triangulate those of faculty members. This paper analyzes the establishment in 2005 and subsequent evolution of a new university campus in the interior region of British Columbia, Canada, until then under-serviced with regard to university provision and with one of the lowest rates of participation of its population in post-secondary education in the province of British Columbia (BC). The paper considers the founding vision of the campus, situated in the city of Kelowna, represented by the original Memorandum of Understanding (MoU) between the University of British Columbia (UBC) and the Government of BC in relation to its subsequent evolution to today. To anticipate the results, we find that almost none of the original vision for the campus has been realized, and it has evolved in a way fundamentally opposed to the Government’s expressed intention. This is largely due to the fact that universities are autonomous institutions in Canada largely free of political influence and hence need only follow their own goals rather than those of the Government and/or electorate. It might also be that the Government’s stated vision was political posturing and it fully intended to leave the evolution of the campus entirely to the University and not hold it to account to the MoU. 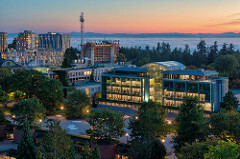 That the campus was left to UBC, one of the world’s top 40 universities in international ranking, and top 20 public universities, to develop as a second, smaller campus in Kelowna than its much larger main campus in Vancouver, a 4-hour drive away, has had important implications for its subsequent development away from the original expressed goals. The paper discusses issues of academic planning, accountability and oversight in the provision of this local public good by the Government funders/taxpayers. In the recent past, Dean Frank has spoken of the possibility of the UBC Okanagan Faculty of Education being “merged” with or administered by the UBC Vancouver Faculty of Education. I am not aware of any recent developments or announcements regarding this merger, take-over (or what have you) nor am I aware of any discussions or reports on the implications of such an action. I am raising the issue because in paper delivered earlier this month Peter Wylie, professor of economics at UBCO, describes the take over as a done deal [p. 31]. UBCO’s Faculty of Education has been innovative from its beginning in 2005. Deputy Vice-Chancellor Deborah Buszard called UBCO a “bold new UBC presence” when it was founded. UBCO Education is a full Faculty that apparently gets along quite well without any Associate or Assistant Deans. That is bold. Apparently, it has gotten along quite readily for nearly the past three years without a Dean. Or if you will on a technicality, an Acting Dean that covers two Faculties. Indeed, UBCO’s Faculty of Education has done its part in reducing admin bloat and demonstrated quite readily that faculty members can self-manage and govern. That is bold. Under these conditions, the faculty members and students managed to rescue their BEd program mid December last year from closure. Or, at least they won a reprieve for a year (i.e., new closure date December 2017) and had to limit the admissions to just over 50%. Still, that is bold. The gist of what Wylie reports as a “done deal” is that UBCO Education was expanded but is now submitted to a process of downsizing to the point of transfer or conversion into UBCV Education. This is *not* bold. Hello? For what problem is this transfer a solution? Hello again? At UBCV we have had no (read “0”) discussion about this. This is *not* bold. Since the announcement of University of British Columbia President Arvind Gupta’s resignation on 7 August 2015 and subsequent disclosure and leak of records on 25 January 2016 via Freedom of Information requests, one of the most pressing questions has been the role or seeming conspiracy of Deans. Upon public circulation of the records, on 9 February the Deans quickly circled the wagons in defence, ostensibly a sign of patronage. What exactly happened wherein the President hesitates in resolving that “things seem to be going well with the Deans”? What was going on wherein problems escalated and the Deans apparently made an offensive to play a role in seeing through the President’s resignation or ousting him? Perhaps the meetings and exchanges of the Committee of Deans would provide insight. At UBC, there are two decanal governing bodies: UBC-V’s Committee of Deans and UBC-O’s Deans’ Council. Concern here is with the Committee of Deans’ records. A Freedom of Information request was made on 8 February 2016 for disclosure of records of the Committee of Deans, which meets twice per month for 2 hours each meeting. There is no UBC record-keeping mandate for these committees [of Deans]. Therefore the records kept are at the discretion of the Provost offices. In terms of UBCV material – no minutes are taken at the Deans meetings, therefore no minutes exist to provide to you. UBCV 2016 agendas were included [or reconstructed] in the records released to you. So, this decision-making body– all the Deans and the Provost, etc.– meets twice per month for 2 hours each and keeps no records. The Committee of Deans met multiple times with President Gupta and prepared or kept no records. Nada. Nothing. On 28 January 2016, the Faculty Association levelled an extensive critique of senior management and governance of UBC for shoddy record-keeping or lack thereof. Guaranteed, there is something to hide. Too much, in fact. Wary of corruption, cronyism, and patronage, on 22 October 2015, the Information and Privacy Commissioner for BC released a scathing report of the practice of withdrawing decision-making to shadow systems. 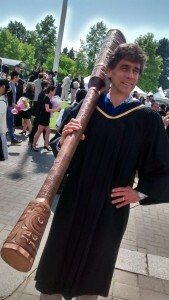 UBC hired a new President and we are wont to look forward. UBC set a new precedent and we are now bound to look backward. Left with no confidence in the Board of Governors (see chronology) and now no confidence in the Committee of Deans, things are much worse than we thought at UBC. We need to be measured with any sympathy for Faculties or units running up deficits for admin bloat, non-union labour, etc. and turning around to ask for more. UBC’s unit budgets are notoriously opaque at the Faculty, School, Department, Office, and Centre levels. Faculty, staff, and students are perennially left begging for details or forced to resort to Freedom of Information requests. For instance, on 11-12 January, UBC’s VP Finance hosted a Budget Retreat for the Deans to present their status and plans. The rest of us were not given access. So here are the UBC Vancouver Budget Retreat January 11/12 2016 records, accessed through a FoI request. Administrators in the Faculty of Education at the University of British Columbia clamped down on academic freedom today by shutting down its shared listserv after 17+ years in what looks like a knee-jerk reaction. In addition to blaming the clampdown on faculty members for sharing “their own perspective regarding one or more aspects of the work and trajectory of the Faculty,” the reasoning given was Canada’s Anti-Spam Legislation (CASL), effective 1 July 2014. In response to changes to the requirements for the organizational use of email at UBC following the implementation of the Canadian Anti-Spam Legislation (CASL http://universitycounsel.ubc.ca/files/2014/06/CASL-FAQs-2014-05.pdf) we have made some changes to how we are using Faculty-generated broadcast email lists. These changes only apply to those email lists created and moderated by the Faculty. The major implication of CASL resides in the definition of “consent” to email exchange. Following the implementation of CASL, we need to be attentive to email recipients’ implied or actual consent to receive emails. While CASL specifically addresses the intent of a “commercial electronic message” (CEM) and spam, UBC administrators have decided to stretch this to all messages and email, warning that email to a colleague, and one might infer student, who has not given “consent” to be a recipient can be grounds for legal or punitive action. CAUT will monitor the enforcement of the CASL, and will provide members with any relevant updates as these decisions may provide further clarity about what the law means for academic staff associations. The implications here are scary but more frightening is UBC managers’ inability to distinguish between academic and commercial messages or distinguish between the legalism of spam and academic freedom.